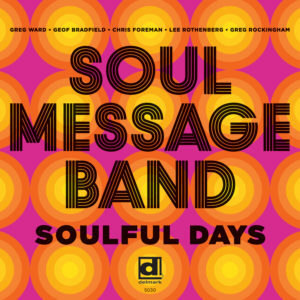 Soulful Days is the debut album by Soul Message Band but, for the most part, these masterful musicians are not appearing on Delmark for the first time. 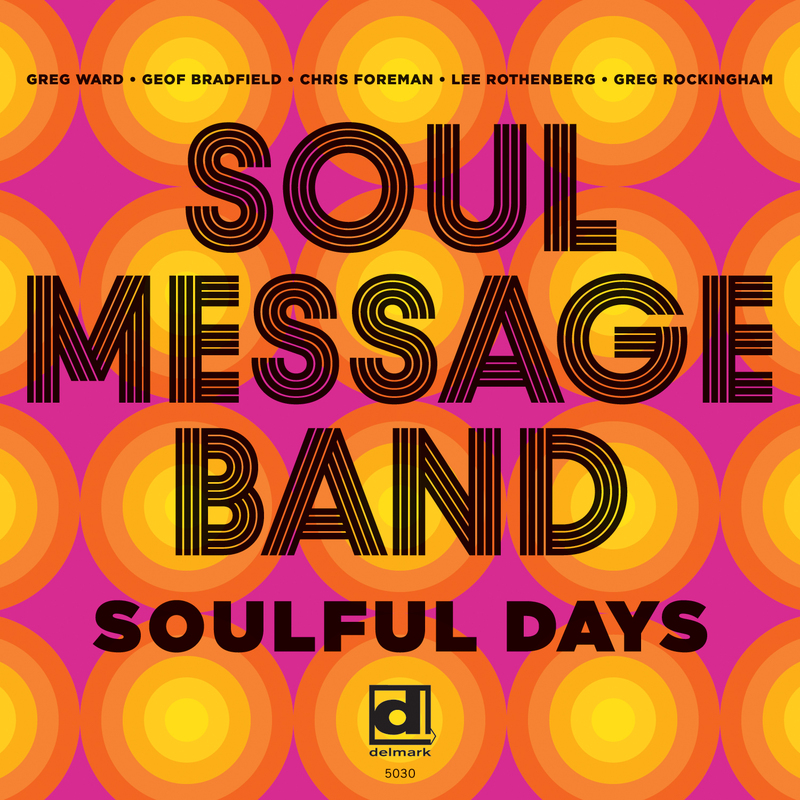 Organist Chris Foreman and drummer Greg Rockingham both came from the prestigious Deep Blue Organ Trio who have two Delmark albums and one DVD. Alto saxophonist Greg Ward appeared as a sideman on Jason Roebke?s High Red Center album (Delmark 5014) and tenor man Geof Bradfield recently came out with his Delmark debut, Yes, and… (Delmark 5027). Newcomer Lee Rothenberg is featured on guitar and wrote ?Sir Charles?, the smoking opener for this funky, greasy organ combo album. Swagger is intrinsic to any self respecting organ combo and it strides in from the git go on ?Sir Charles,? named originally for NBA star Charles Barkley, thence organist Charles Earland. Augured by Greg Rockingham?s press roll, Chris Foreman?s forceful B3 footwork hums beneath his percolating right hand – the coffee?s ?bout to spill the pot, but despite the urgency, to swagger with de rigueur gait, the time mustn?t trip. Saxist Greg Ward, notwithstanding his natural proclivity for fleet flights, handles the release with laid-back sauciness, smearing notes with grease and grace. It?s quickly clear consummate mastery of the genre is at hand here and that?s to be expected from Rockingham and Foreman, who have forged an airtight rhythmic lock over a 35 year partnership. More surprising is the idiomatic acuity from the junior members of the band, Rothenberg and Ward. You?d scarcely suspect the former studied classical piano as a youth from the blue veins that course the frets of his Gibson L5; Ward excels in every conceivable context from latin bands to his many leader projects. You can detect the drive of Philly guitar legend Pat Martino in Rothenberg?s playing but more so the exploratory insouciance of Wes Montgomery, on his expansive, beautifully articulated ?Easy Time? solo. Listen intently and you?ll hear high levels of interplay between these masters. For Rockingham and Foreman it?s a sixth sense. ?Rock? as his friend Foreman calls him, has impeccable time and is less concerned with flash and display. Drum solos are scarce yet impressive – at the close of the opener and in exchanges with the horns on ?Hammer Head? you?ll hear more of that press roll Rock borrowed from Buddy Rich, and the special scuttle and purr of his snare. In fact the very sound of the snares (the rattle of metal wires on the bottom drumhead) being turned on is sufficient signal for Foreman it?s time to play. As Chris, who?s blind, describes with self effacing irony, he?ll just ?look? at Rock and they?ll know exactly what?s what. ?It?s like playing with Jimmy Smith and Grady Tate,? Rothenberg opines.